You might think with my less-than-stellar enthusiasm for Pilates that I would be equally as reluctant to do yoga. However, if you think that, you'd be wrong. Ha! 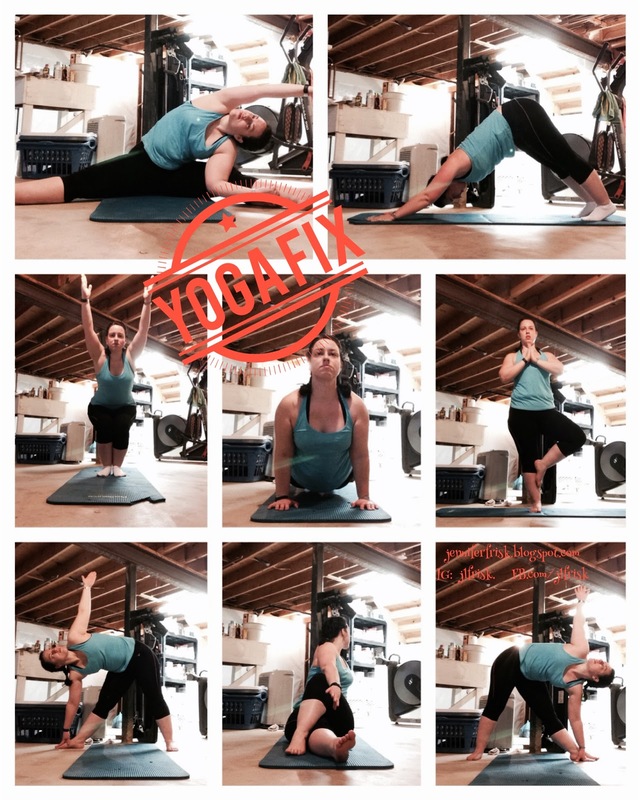 I LOVE yoga, and Yoga Fix does not disappoint. It's an amazing stretch, and it really quiets my mind as well. Autumn's voice is instructional but not intrusive. In fact, it's very soothing. Add this workout to the list of ones I want to continue indefinitely! Physically, every one of my muscles was happier after I was done, but none more so than my hip flexors and my IT bands. It was just like each muscle took a huge breath and let it out slowly. Yoga today was amazingly cleansing and refreshing. Nutritionally, though, I hit my first hurdle today. I didn't eat enough! Apparently, without a rigid schedule and my meals/snacks already in hand, I just don't eat. Which, let me tell you, left me hungry at the end of the day. And of course, I was not hungry for the fruits that I had left.... I still didn't "cheat;" I just didn't eat anything instead. Not the wisest move, I know. Guess next weekend I'm just going to have to have a plan, with a schedule, to keep me on track.